Kristie Groat-Barber is a mother to three beautiful children. She is a proud Wiradjuri woman from Orange, Central West NSW. Storytelling has always been an important part of her upbringing. 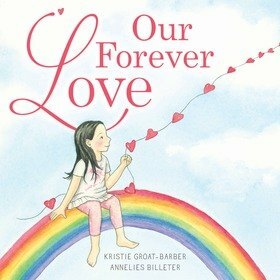 'Our Forever Love' is her first published children’s book. Inspired by the tragic loss of her father she had a strong desire to help her young children understand grief and find comfort. Kristie has enjoyed reading and creative writing from a very early age. Besides writing, Kristie is the co-director of her husband’s scaffolding company. She has been fortunate enough to work with children in fields such as art and dance. Kristie has also been a part of Literacy and Numeracy tutoring programs for young Indigenous students. Kristie lives in Terrigal, NSW and really enjoys spending time with family.